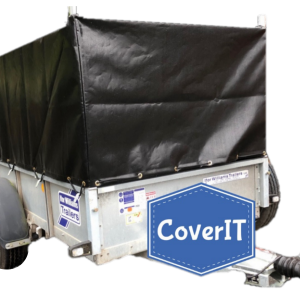 Ifor Williams TT2515 trailer covers. Our Ifor Williams TT2515 trailer covers are available for standard or mesh sided tipper ​​​​​​​ trailers. They are available for trailers with or without a ladder rack fitted. 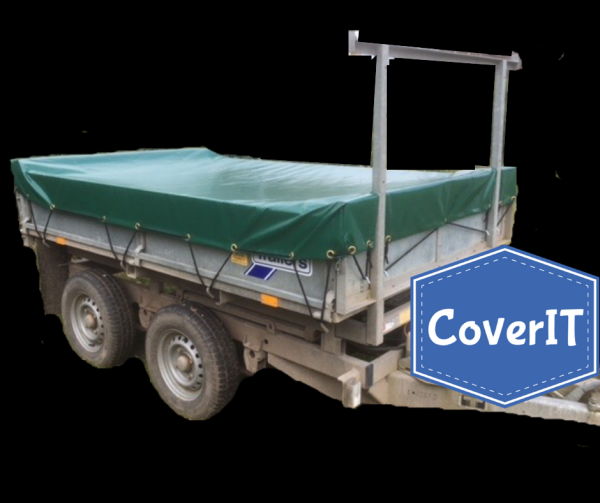 These covers are becoming ever popular for people who attend quarries or who transport woodchip as the cover stops the contents of the trailer from blowing in transit. 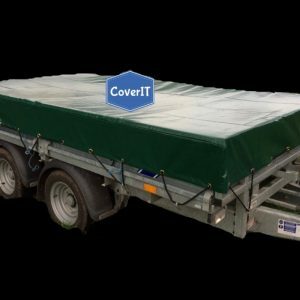 Covers are also a great way to protect the trailer contents from the elements and for deterring theft by hiding the trailer contents. The standard tipper trailer cover is for a trailer with four short sides and no mesh kit fitted. 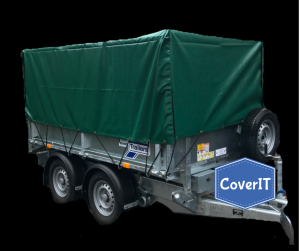 The mesh side tipper trailer cover has 98cm long sides to cover the mesh kit and keep your trailer contents protected from the elements. Our covers open at each corner using Velcro to allow side and/or rear access when loading and unloading meaning the cover can remain on the trailer. 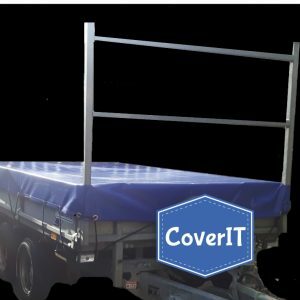 This cover fits both a mesh side trailer with or without ladder rack. Our trailer covers are available in blue, green or black heavy duty 610gms PVC easy clean waterproof tarpaulin. We use a UV and rot resistant thread to give added protection against adverse weather. Finally we place rust resistant solid brass eyelets around the hem of the cover. Then to anchor the cover we supply a 8mm shock cord as standard. The price includes free UK delivery. I’m extremely happy with the service provided by yourself as well as the quality of the cover. Excellent service fast delivery and great fitting cover already used several times much easier than trying to tie down an old tarp. Thankyou will be in touch soon for a mesh sided cover. Ifor Williams TT2515 standard cover with ladder rack. Ifor Williams TT2515 mesh side cover. Just what is says on the tin perfect.